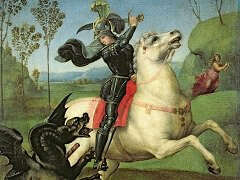 Raphael was born Raffael Sanzio in the town of Urbino in the year 1483, April 6. No doubt that his interest in painting began quite early; his father was a painter. 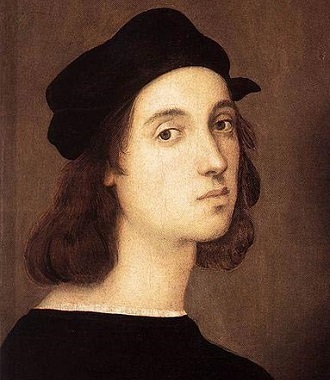 During the eleven years, which Raphael had with his father, he had the opportunity to learn the basics of painting. His father Giovani Santi worked in the court of Urbino. At the time, it was one of the most renowned courts for the visual arts. With the assistance of his stepmother, the young master had never to struggle in his life. This was in part due to the wealth his father had left behind. In addition, he was friends with the Italian masters of the time. 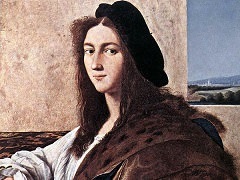 Through these connections, Raphael was able to become quite successful in his career quite early. His father had apparently managed to secure an apprenticeship for the young master while he was still alive. 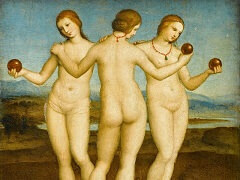 In the year 1500, Raphael became an apprentice to Petro Perugino, who had been quite successful in the city of Perugia. For four years, Raphael mastered the technique of Perugino. He became so good that it was almost impossible to distinguish between the two. By December of that year, Raphael had earned the title of master' from some quarters. His first known work was the altarpiece for a church that was at the halfway point between his city of birth and Perugia. Evangelista da Pian di Meleto's name features as part of the project from records. The artist had worked on many other projects with Raphael's father. The young master continued to work as an assistant in Perugino's office up until he moved to Florence. When he eventually left Perugia for Florence, it had become obvious to him that his style need some changes. This is especially considering the recent innovative styles by Leonardo da Vinci and Michelangelo. However, the artist who had the greatest influence on his worker was undoubtedly the former. 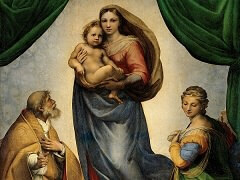 His influence is visible in the Sistine Madonna by Raphael. However, although he assimilated the styles of different masters of the time, he continued to pursue his own unique style. The work, which had more of Raphael's unique style, was the 'La Belle Jardinere' in the year 1507. 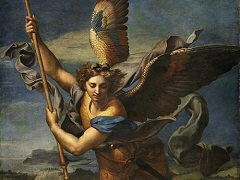 In the year 1508, Raphael moved to work in the Vatican in Rome. He lived out the rest of his life here. His influential family connections also played a huge part in his invitation the Vatican. He managed to be commissioned by Pope Julius II faster than Michelangelo, who had been kept waiting for months after he received official invitation from the pope. His uncle, an architect probably helped put in a good word for him. 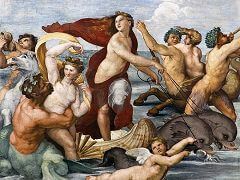 The first commissioned work by Raphael in Rome was his biggest and best paying ever. 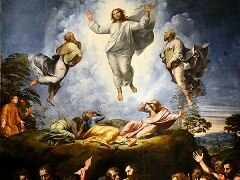 He was to do a fresco, in what was to be Pope Julius II private library in the Vatican palace. There was already other works going on at the various rooms. This was mostly to paint over works that had been commissioned by a bitter foe and predecessor of Pope Julius II. The work in the pope's library is known as 'Stanza dellaSegnatura'. The works by Raphael in this room were among the best works by the artist. 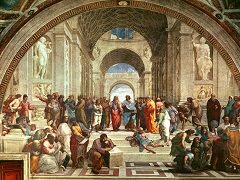 They include Parnassus, The School of Athens and The Disputation of the Holy Sacrament. In order to paint his famous works at Stanza dellaSegnatura, he had to paint over some other works. However, Pope Julius II decided these works were less important. After completing the works in the first room, it left Pope Julius II thoroughly impressed. Consequently, he decided to commission the artist for more work in another room. The second room in which Raphael worked is known as the Stanza d'Eliodoro'. In this room, Raphael mostly focuses on the interventions of the divinities on human action. The influence of Michelangelo in these works can be clearly seen. However, like was common throughout his career, the artist manages to use his own unique style, while still absorbing a lot a lot from other masters. At one point, Michelangelo was quite irritated by Raphael's unique skill of absorbing from the masters. He even accused the artist of plagiarism. During his work on the second stanza, Pope Julius II died. 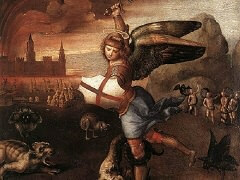 However, this did not have an effect on Raphael's work. Pope Julius' successor, Leo X was impressed by Raphael's work, thus continued to commission him. In addition, a complex web of friends played a significant role in ensuring that he was never in danger of running out of work. He continued to work on projects but played a smaller role. He generally directed the works, leaving his large crew of assistants to handle the actual painting. His large and complex works by him, Leonardo da Vinci, and Michelangelo have come to define the century in which they lived. 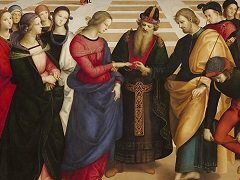 At the twilight of his life, Raphael continued to receive commissions from the Vatican. However, he was also received numerous requests for his work. The most notable of his projects outside the Vatican are a series of ten cartons. 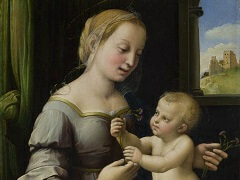 The works show an evolution in Raphael's style. Essentially, the master's style continued to evolve until his death. In addition, he did a series of portraits. This includes portraits of Pope Julius II and his successor. His workshop has been described as one of the largest ever owned by a master. No doubt, he drew a lot from the experience of running his father's workshop. Unlike the workshop ran by Michelangelo, Raphael managed to run quite an efficient operation. The artist even managed to subcontract masters who came with their own assistant, while managing to maintain a good working relationship. His workshop has been credited with producing some of the greatest masters of their time. When Bramante passed on, Raphael was named as the new architect. However, most of his work was later demolished for being gloomy. However, some of his works still survive in Rome. 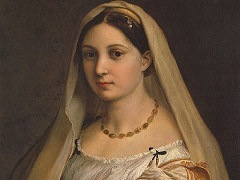 Raphael is credited for using drawings extensively. In addition, he was an ardent user of the metal point technique. This involved using a sharp point of silver to make sketches. As seen from his numerous drawings, the artist was quite innovative. Although the artist never made any prints, he entered into a collaboration with another artist. He allowed the artist to use his sketches to come up with engravings. The artist never got married; this was in spite of his extensive wealth. Although he was at one time engaged, this seems to have been more of a strategic business move than because of love. It is rumored that his numerous romps with his mistresses led to his premature death at thirty-seven years. How this was determined is a matter of great speculation. It is said that he fell ill after a sexual encounter with his mistress Luti. During the next fifteen days, he was well enough to write his will leaving her a huge amount of money. He eventually died and was buried in the Pantheon at his own request. 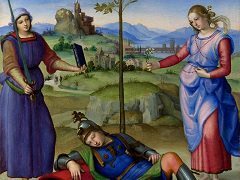 Without a doubt, Raphael belongs among the top-tier Renaissance artists, and his name has become synonymous with the best of the Renaissance Art. 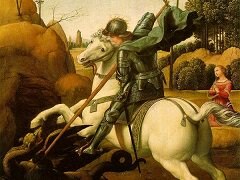 Along with Caravaggio, Donatello, Leonardo da Vinci, Michelangelo,	Shakespeare, and a small band of contemporaries, Raphael become the center of a movement of artists that has permanently enriched western and world culture.